Deep breaths create sound, interrupting the stillness of the cold air. Quick strides create rhythm as I run. Each step carries weight—the joys or frustrations from my day—and my soles keep the tempo on the pavement. Running is more than exercise for me. Some days, God's voice breaches past street noises. Other times, words—theses words—are drafted into my thoughts, held onto until later. I crave this time alone, absent of my children, and running provides the refreshment I need. Months ago though, it was impossible for me to run. My third pregnancy, and later, a postpartum back injury placed my love for running on hold. Months spent recovering was debilitating in more than one way. But then, I began to run again. I set small goals and slowly worked my way past them. Eventually, my feet began confidently hitting the pavement again—right in line with the familiar rhythm I knew for years. My stagnant season was over. Are you experiencing a stagnant season right now? I'm not talking about running. Not everybody is a runner. I understand. But what about your prayer life? 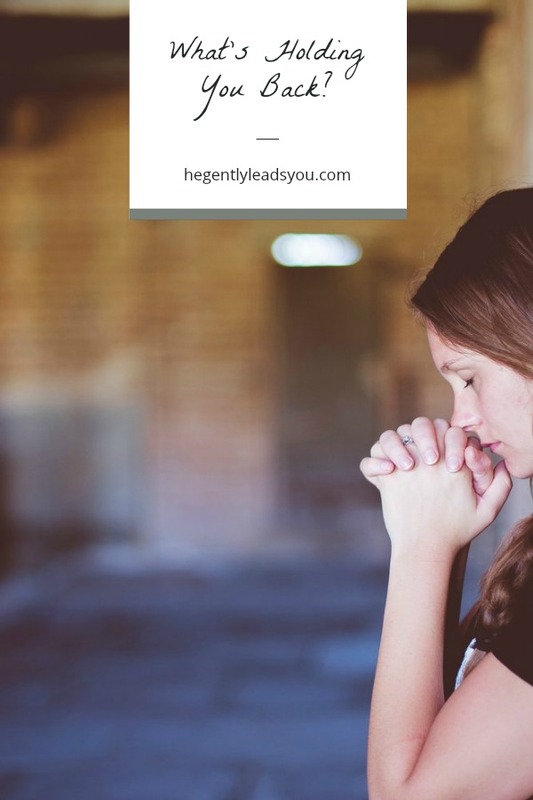 At some point, all of us experience a level of stagnancy in our prayer lives. It often happens gradually and unintentionally. For me, it happens when I continually choose something other than prayer. Can you imagine all the people vying for Jesus' time? And yet, Jesus made an intentional choice to be alone with his Father. And just like Jesus, we need to spend time alone with the Father too. What's holding you back from doing so? As a runner, back injury was a major setback for me, but I didn't allow it to hold me back for too long. I set small goals and worked my way past them. I put on my shoes and headed out the door, time and time again. Even if it was forty something degrees outside, (which, in Florida is a big deal). I never waited for ideal running days. I just ran, regardless of circumstances. Can't we do the same when it comes to our prayer life? Make a decision to move past stagnancy. Set a small goal, and go for it. Don't wait for ideal moments to pray. Just pursue him! This week we will be diving into Scripture to learn more about how Jesus prayed. If you'd like to join the study this week, click here to download the reading guide. Let's begin by taking a closer look at Mark 1:35. What kinds of sacrifices do you think he had to make to be alone? What sacrifices will you make to spend time with God this week?